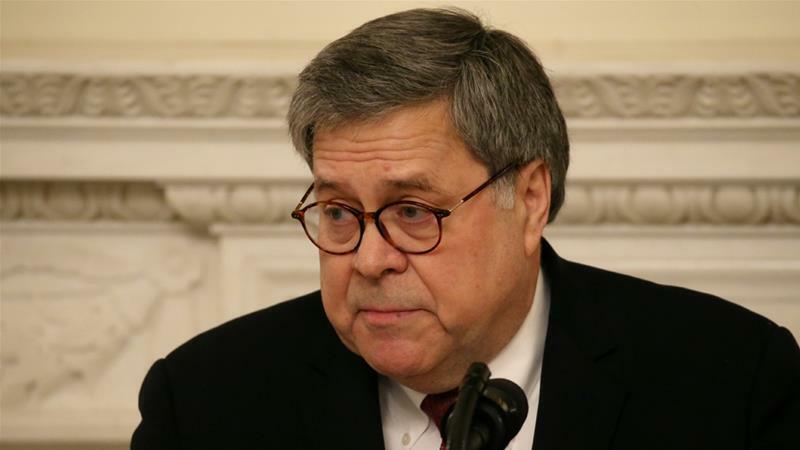 In a surprising show of bipartisanship days after US Attorney General William Barr informed Congress that he did not find an obstruction case against Trump, the Democratic-led panel voted 22-0 to send the measure to the full House of Representatives for a possible floor vote. Full House approval would give Barr 14 days to comply with the demand for all records and communications concerning FBI investigations of Trump as well as any discussions within the Justice Department about secretly recording the president or seeking to replace him by invoking the 25th Amendment to the US Constitution. A number of House committees are also investigating possible obstruction of justice by Trump. In a letter seen by the Reuters news agency, six committee chairs in the Democratic-led House of Representatives called on Barr to release the full report prepared by Special Counsel Robert Mueller on Russian meddling in the 2016 US election to Congress by April 2. Earlier this month, the House voted 420-0 in favour of making the report public, with no Republican opposition. Trump did not object over the release of the report to the public. A Justice Department official said it will take Barr “weeks, not months” to finish reviewing Mueller’s Trump-Russia investigation report and make a version available for the public. Meanwhile, the Senate Judiciary Committee’s Republican chairman called for an investigation into the origins of the probe of potential Trump campaign links with Russia, while the Senate leader blocked a second attempt by Democrats to pass a measure aimed at pushing the Justice Department into full disclosure of the report this week. No one outside the Justice Department has seen the report, including the White House. The Department of Justice has not said whether it will release Mueller’s full report, but Barr has said he will be as transparent as possible. Trump on Monday vented his anger at the inquiry and vowed investigations into unnamed political enemies who did “evil” and “treasonous things”. The probe left unresolved the question of whether Trump engaged in obstruction of justice. Senator Lindsey Graham, the Republican Senate Judiciary Committee chairman and a Trump ally, told reporters he would ask for an investigation. Barr told Graham in a telephone call that he would be willing to give evidence to the panel about the Mueller probe, according to a spokesman for the senator. Democratic politicians were likely to face a protracted legal battle that will turn on Trump’s right to keep communications with his advisers private, legal and political experts said. White House spokeswoman Sarah Sanders called for congressional hearings to investigate prominent Trump critics including former US Director of National Intelligence James Clapper, former CIA Director John Brennan, former FBI Director James Comey and other FBI figures. Barr said he and Deputy Attorney General Rod Rosenstein, who appointed Mueller, concluded the investigation’s evidence “is not sufficient to establish that the president committed an obstruction-of-justice offence”. The Kremlin said on Monday that President Vladimir Putin was ready to improve ties with the US following the release of Barr’s summary and called on Washington to formally recognise there was no collusion. Russia repeated its denial of US intelligence agencies’ findings that it meddled in the election.